Say it ain’t so. The holidays are lurking just around the corner. But, no worries. You’re ready. We know you are. Well, just in case you’re like the rest of us and are definitely NOT READY, we’ve got just the thing for you…an unsecured loan with no payments for 60 Days. You can do your holiday shopping now, and have a 60 day breather before the first payment ever comes due. This loan will be available beginning October 14, 2013. For full details, call 800.828.6446 or CLICK HERE. While Free Checking programs continue to disappear from many financial institutions, the Taleris Basic Checking Account is still free. According to Bankrate.com, only 39 percent of checking accounts offered in the area are free, down from 76 percent just four years ago. 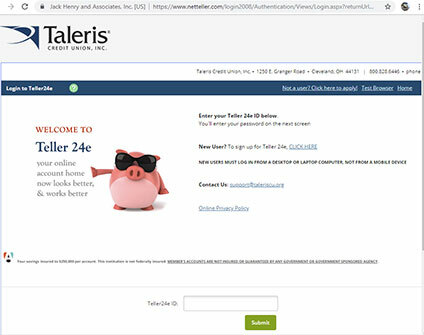 As a Taleris member, you still have the opportunity to enjoy Free Checking with the Taleris Basic Checking Account. The Taleris Basic Checking Account has no minimum balance requirements and no monthly account maintenance fees, making it easy to use, easy to manage…and best of all, it’s free. For more information, CLICK HERE or call us at 800.828.6446. The Taleris Credit Union Nominating Committee has announced that there are three incumbents running for three open positions on the 2014 Taleris Board of Directors. They are: Harry Katzenmyer, Donald Salsbury and Joanna Curran. No other candidates have submitted applications for candidacy at this time. Any individuals who further desire to be considered for candidacy must submit a Petition for Nomination. To obtain the petition, please call 800.828.6446 ext. 3233 or email volunteer@taleriscu.org. Once completed, mail the form to the TCU Nominating Committee at: 1250 E Granger Rd • Cleveland, Ohio 44131 by November 15, 2013. You may also drop off the petition at the same address. Since 1948, International Credit Union Day has been celebrating the history and achievements of the Credit Union movement. It is a day meant to honor those who have dedicated their lives to that movement, and to recognize the efforts of those working in the credit union industry. Most importantly, it is a day to show members our appreciation. In keeping with the spirit of ICU Day, Taleris Member Appreciation Day is Friday, October 18. We’ll have snacks and refreshments for any and all who stop by. If you’re in the neighborhood, come on in, say hello, and have a snack on us. For more information on our Member Appreciation Day, and a bit more history on the Credit Union Movement, CLICK HERE. It’s a really good idea to check your credit report at least once a year. You’ll need to make sure the information is correct and request corrections if necessary. There are some private companies that offer credit reports but only one that is government sponsored and absolutely free of charge. You can access this website at annualcreditreport.com and then follow the instructions to get your report. PLEASE NOTE: In the printed version of the newsletter, this website was listed incorrectly as “annualreport.com,” which is a site that will ask you to pay for your report. The correct web site for your free annual report is annualcreditreport.com as listed above. The site listing is correct here and in the eStatement version of the newsletter. We are sorry for the error. You are entitled to receive one free credit report every 12 months from each of the nationwide consumer credit reporting companies – Equifax, Experian and TransUnion. This free credit report can be requested through the website, by phone or by mail. 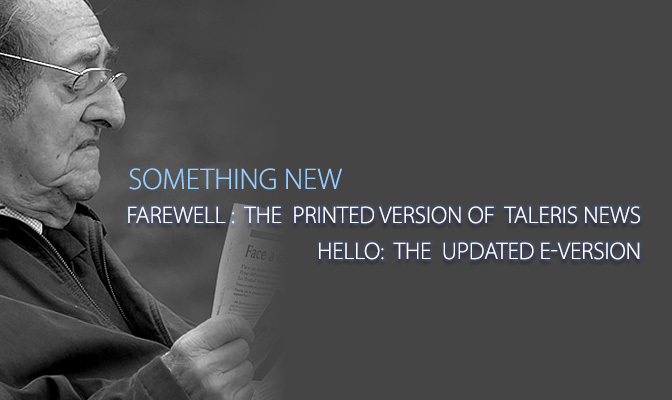 If you haven’t tried the mobile banking offered by the Taleris Mobile Branch, now’s the time. CLICK HERE for full details and links to the mobile apps. Or, you can call 800.828.6446 and ask for Member Services. Have you ever wondered how your new insurance company found out about the claims you filed? Insurance companies turn to a Comprehensive Loss Underwriting Exchange, or C.L.U.E. report, provided by LexisNexis Risk Solutions to find out what claims have been filed in your name in the past seven years. So, how do you get these reports? Just go to personalreports.lexisnexis.com, look under “FACT Act Disclosure Reports” and click on “Insurance report”. From there, just follow the instructions. Remember, you can get a FREE auto and a FREE home report once every year. Taleris has opened up membership in Medina County. Now everyone one who lives, works, worships or attends school in Medina County is eligible to become a Taleris Credit Union Member! So, if you, your family or friends live, work, worship or attend school in Medina County, you can now take advantage of all the benefits of a Taleris Credit Union Membership. Benefits include our low rates on loans, our great rates on deposits, mobile banking, shared branching and more. For more information, visit www.taleriscu.org/medina or call 800.828.6446. With the Holidays right around the corner, you’ll be looking for ways to save money. Check out the Taleris Best Benefits Club! Here you’ll find hundreds of great discounts from local and national businesses and be well on your way to saving some of your hard earned cash! To find out more, give us a call at 800.828.6446 or CLICK HERE.